Stockholm based David Myhr, along with Anders Hellgren, was part of the former Sweden based musical duo The Merrymakers. The Beatles, ABBA and Depeche Mode are some of his major musical influences. 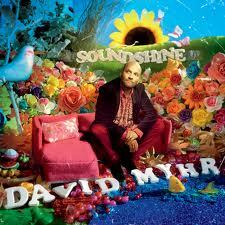 Soundshine, David Myhr’s solo debut album came out in Japan last December and will be released in Europe at the end of March 2012 by the British label Lojinx. Nashville written Looking For A Life is a catchy song full of heart ache, longing and melancholy. I Love The Feeling has a perfect summer feeling. It’s a well crafted and charming number you’d probably hear played in a convertible. Beatlesque Ride Along has an infectious hook and sweet harmonies. To fans these will be great,memorable songs with smart, intelligent lyrics written by a talented man with a passion for great music. His timeless melodies have their roots firmly in classic song writing of the 60’s & 70’s. Others, whose lives are also brightened by his music, might be tempted to ask Have I heard this somewhere before? It might be difficult for them to answer their own question!